Give Yourself a More Youthful Look. TempSure Envi is a gentle new radiofrequency treatment which is comfortably performed inside of our eye clinic. It’s safe for all skin types and levels of sun exposure, so it fits perfectly into any beauty maintenance routine, any time of year. 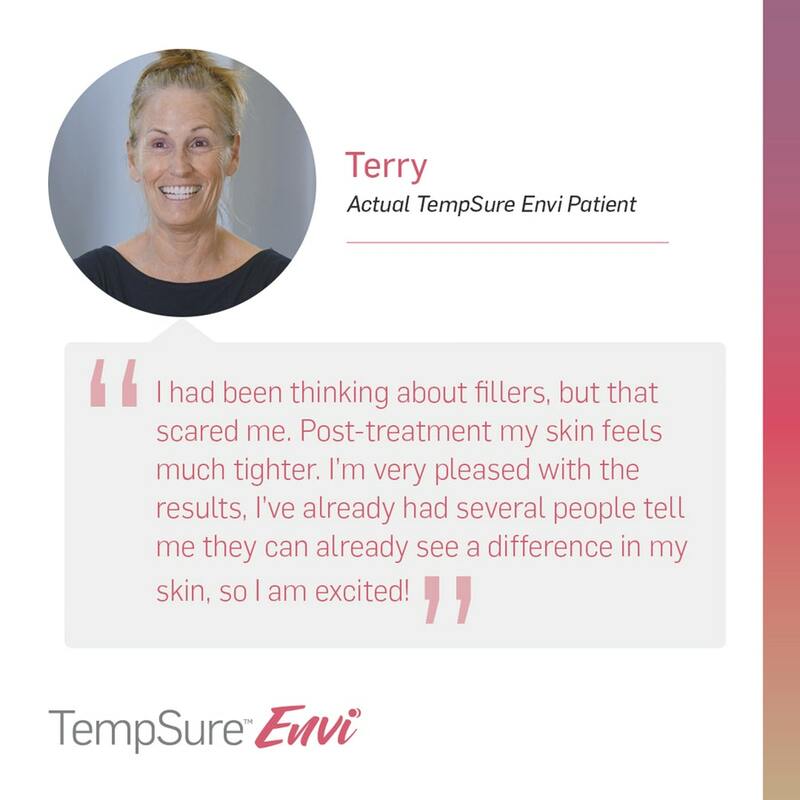 99% of patients reported the treatment to be pain-free so you can sit back, relax, and enjoy your TempSure Envi treatment today! TempSure Envi targets fine lines and wrinkles on the face and the appearance of cellulite on the body. It’s best to schedule a series of treatments then plan for regular maintenance treatments to help your body counteract the loss of collagen that is part of the natural aging process. Just like regular trips to your stylist or nail salon, you can make your TempSure Envi treatment part of your ongoing beauty regimen. Schedule an appointment Today! During a face-only treatment, you will experience a gentle warming sensation around the target area(s). Most treatments can be performed in under 45 minutes, which makes this a great lunchtime option. During a body-only treatment, you will experience a gentle warming and massage sensation around the target area(s). Most body treatments can be performed in under 30 minutes! After the treatment, there is usually only a slight redness of the treated area. This redness generally will subside soon after. You will be able to return to your daily activities immediately following treatment! Right away! You will leave with a natural glow and what patients describe as a “tighter” feeling. The best part is collagen will continue to rebuild over time enhancing your skin’s appearance. Am I a good candidate for TempSure Envi skin tightening? TempSure Envi skin tightening treatments are suitable for every skin color and texture. You should be in good overall health and want to restore your skin’s youthful appearance. Unlike other technologies, treatments can be performed all year round. It’s a great first step into cosmetic treatments if you want to look younger but don’t want — or need — an invasive treatment like face-lift surgery. It's time to treat yourself. Schedule a Consultation Today!